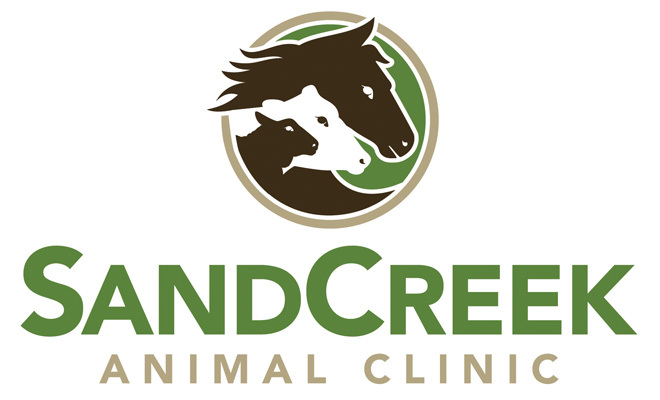 Sand Creek Animal Clinic – Logo | McQuillen Creative Group, Inc. 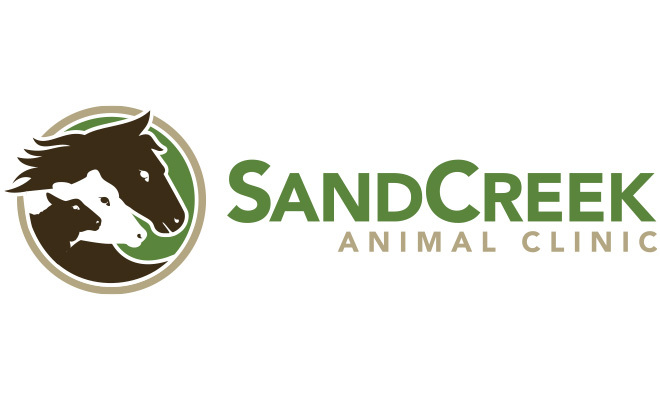 Sand Creek Animal Hospital is located near a sandy creek near Woonsocket, SD. They are known for horse care, primarily for competitive sport horses like barrel racing, rodeos, roping, showing, etc. They also service a lot of cattle. They also will look at any small pet, but they are known for large animals. With that information in mind, we created a symbol that included a horse, cow and lamb to highlight their areas of animal care. A clean, sans serif typeface was selected to give the logo a modern look and the colors were selected to invoke an feeling of being outdoors, but not rustic.